After his controversial trips to North Korea caused an international firestorm, the NBA Hall of Famer mostly shunned the media. Now Dennis Rodman is ready to talk. He’s early. It’s just after 10 a.m. at the Turnberry Isle Miami in Aventura, Florida, and in walks Dennis Rodman—all six feet seven inches of him, wearing a tattered baseball cap emblazoned with “Cheetah Gentlemen’s Club,” a wrinkled cotton T-shirt, black nylon track pants and a pair of impossibly large boat shoes with laces tied in haphazard knots. The oversized women’s sunglasses he wears will remain secured to his face for the duration of the interview. Rodman, 52, is initially standoffish. “Let’s make this quick,” he says quietly. But once he starts talking, he opens up and over the next two hours delivers as promised, with a frank conversation about North Korea, the nation that has consumed his life for the past 15 months. For the uninitiated, the story goes like this: As part of a documentary series they were creating, producers at the media company Vice gained access to the Communist country—which is off-limits to Americans—by catering to North Korean leader Kim Jong-un’s obsession with the Chicago Bulls. 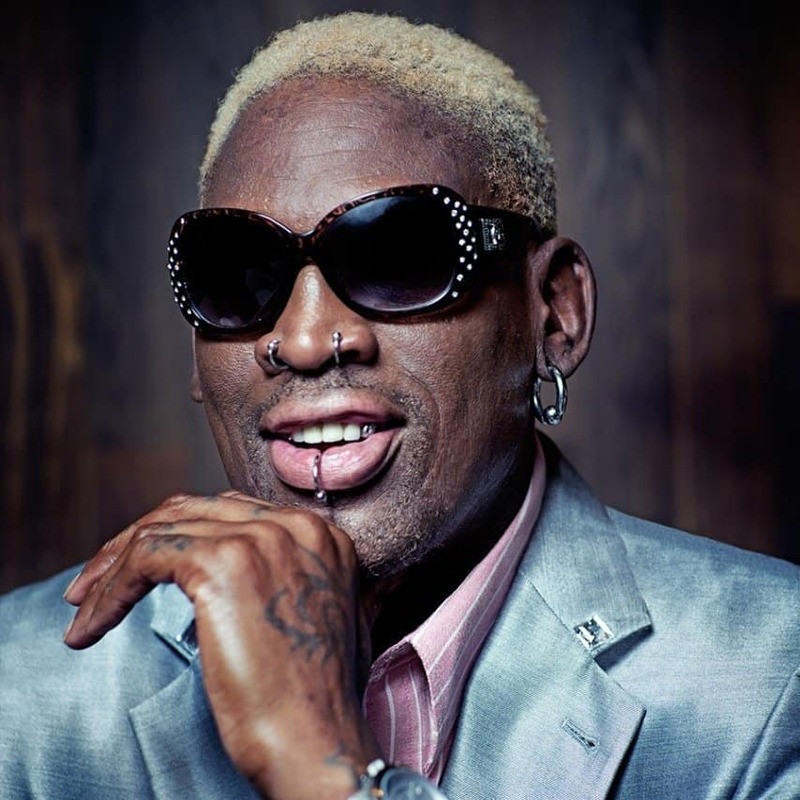 The producers reached out to Rodman, inviting him to North Korea for an exhibition basketball game alongside three members of the Harlem Globetrotters. Rodman agreed. This article originally appeared in DuJour Magazine. Read the full story here.